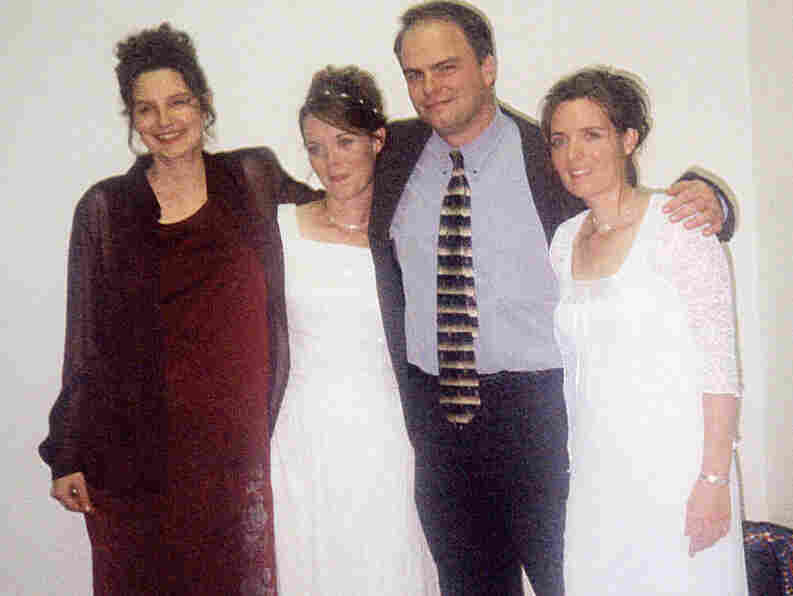 One Husband, Three Wives: A True 'Love' Story The family who helped inspire the HBO series Big Love has written a tell-all of sorts. In their new book, Love Times Three, the Dargers tell their story of plural marriage, parenting 23 children and living in a community where many view polygamy with scorn. 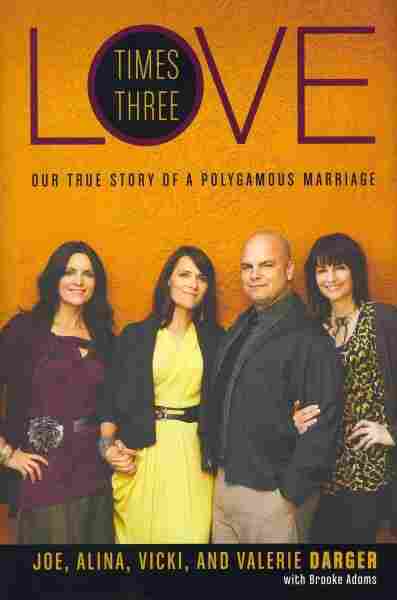 The family who helped inspire the hit HBO series Big Love has written a tell-all of sorts: a new book called Love Times Three: Our True Story of a Polygamous Marriage. 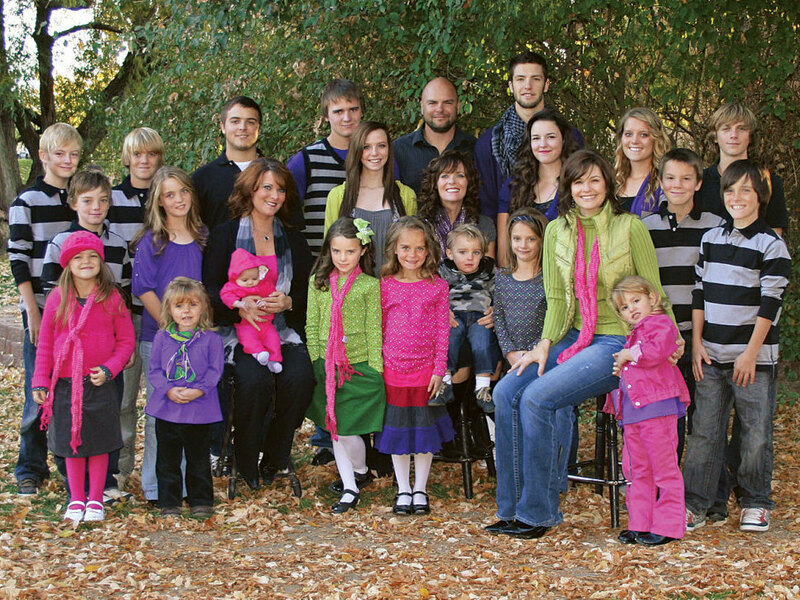 In it, Joe, Alina, Vicki and Valerie Darger tell their story of plural marriage, parenting 23 children and living in a community where many view polygamy with scorn. The Dargers describe themselves as independent, fundamentalist Mormons. They're not members of any organized polygamous faith, like Warren Jeffs' FLDS church, and they are not welcome in the Mormon church, which officially renounced polygamy in 1890 and does not tolerate it now. Joe and Alina Darger join NPR's Neal Conan to talk about the choices they've made, and how they get by in a society in which polygamy is illegal. "This is a culture that's been pushed underground and marginalized from the rest of society, and ... it's been destructive. That's led to some unhealthy implications within the culture, and it makes for a people that, if there are abuses, they don't dare to report them, and it makes for a lot of fear. And that fear is what we grew up with as children, and we didn't want our children to grow up that way." Alina: "It's not at all true. For over 100 years, they have banned the practice of polygamy, and if somebody is in the mainstream Mormon church and found to be practicing it, they are excommunicated. So they've definitely made a stand that that's not part of ... what they do now." Joe: "And in fact in this community, the myth is that it's easier to live here this way, but in reality many of our traditional Mormon neighbors are very uncomfortable, and they're the first ones that want to distance themselves from it and keep it criminalized. And so that's actually one of the obstacles we face." Joe: "It's a third-degree felony in the state of Utah. So it's a serious crime, and it's nothing to be taken lightly, for sure. The present attorney general has stated that he will not prosecute consenting adults ... We feel we fall into that. But it's still a crime, and it still can be and has been used as a weapon against our people, and it's really a weapon of fear. "And that's what's not healthy. And so we're not trying to flout ourselves as some kind of lawbreakers, as much as this is a deep, abiding part of our faith, a deep part of who we are and our culture and our history, and we cannot be silent anymore." Alina: "And it's very real for us, because we've all had grandfathers who have spent time in prison for practicing polygamy. So it isn't something that we take lightly. We really understand." Joe: "The misunderstanding is that we're not asking for plural marriage to be legalized and recognized. We're asking to be decriminalized as a people. I really don't want the state recognizing my marriages, nor do I need it. I just want them to stay out of my bedroom and out of my life. So that's the big difference." Alina (far left) and Vicki (far right) participate in Valerie and Joe's marriage ceremony on Oct. 14, 2000. Joe: "One of the misunderstandings is this is just a Mormon issue. And in fact, we have a big African immigration population here in Salt Lake City, and some of the social workers we've worked with in our community and are working with in our communities have also talked about these issues with other immigrant populations, other Muslim populations. "And I think it's been used almost as a way of discrimination in keeping different cultures and different societies out in our past. So I absolutely would feel like ... what's good for me should be good for anyone else, same rights." "And so we had a good talk about this, and it was really interesting ... going through those things myself as a child, and a lot of why we wrote Love Times Three is kind of to create a better understanding."